It has been a bit over a month since our last Community Spotlight and a lot has happened since then! 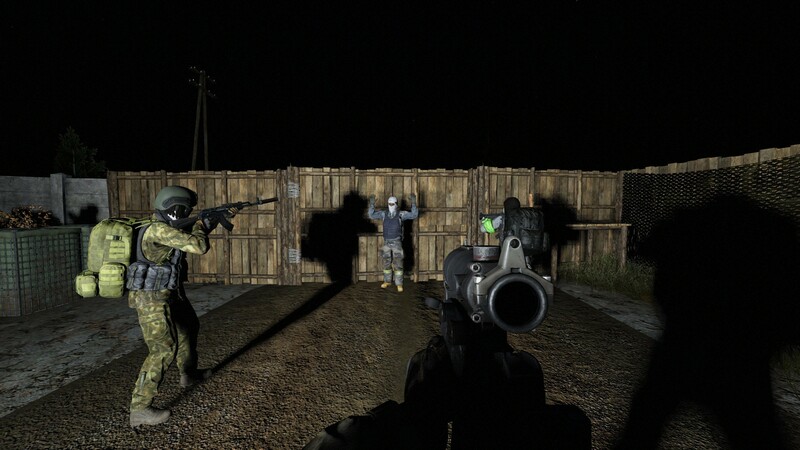 In December we released DayZ 1.0 on PC. It was definitely the craziest month in the office and the devs really deserved their Christmas holidays. I know we've been pretty quiet this year so far, and I've even noticed that some of you think we're still on holiday somewhere, but that could not be further away from the reality! Most of the team has been back to their stations since January 2nd and there's a lot of buzz in the office. We're working on fixes, planning our road ahead, and also getting ready for our first Platform Update - but I'll let Eugen explain it in his first Status Report of the year, so stay tuned! We are collecting feedback from the Xbox community because the Xbox version still has several specific issues, and we want to know them all. If you are an Xbox player and have some feedback, here is the place to talk about it[forums.dayz.com]. For the live stream, Tim and I organized a special community event for our content creators and a bunch of other members of our community. The event was about attackers assaulting the defenders inside their base. The defenders were asked to build and defend a complex of buildings, the attackers had to kill them all. Immortal Warrior - Dannyboyy did not die during the event. We definitely want to keep doing live streams, so stay tuned for more - and feel free to send us some tips about what you'd like to see us streaming! Let's check the community content. Recently, my favorite "DayZ teacher" has beenArchie Stormcloud, who has his own "DayZ school". Check out his videos, they are funny, informative and entertaining. Have you ever thought about base building, but you never really knew how to do it? BarelyInfected has prepared a guide for base building. It can come in handy! If you are into modding, you can find some great community mods in the Steam Workshop. The most popular Workshop item -at least for the last month- has been Winter_Chernarus. This mod retextures Chernarus to a beautiful winter environment. And if you run Winter_Chernarus on your server, I suggest you to add Cl0ud's Wintergear, it is really nice. Everyone wants Namalsk, but other terrain creators are already doing an amazing job as well, so now you can check out a new terrain called DeerIsle. It is a 16x16 km size map based on the DeerIsle location in the USA and is still in development. You can try the 3x3km starting area on the creator's server 85.25.214.246. Here is a sneak peek by the map creator JohnMcLane. And here is a first encounters video by TheRunningManZ. I want to show you one more video, which the DayZ team really likes. This base is really awesome, good job guys. And the last thing I want to share with you are some examples of amazing handwork skill. dubas_ got this amazing picture as a gift. Why don't I have anything like this on my own wall? DrZZed shared with us his logo cut from wood. It is huge! I carved a DayZ logo into pumpkin last year and it was so hard. But Reddit user ApersonawithCANCER did the same thing with a piece of wood, how it is even possible to do this by hand? And the last one is a very atmospheric sketch made by Specu85. You are talented, man! And one bonus photo to end things in style. Who else is envious of this DayZ command center by DownBy9UpBy5? I know I am for sure. As always, it's location riddle time. The location from the latest Community Spotlight was under a little factory west of Lopatino. And who guessed it right? If you know where the location is, send your answer to our Twitter account with the #DayZriddleTime hashtag. Good luck! That's all from me for now, thanks for all the awesome content you create, enjoy the game and see you in two weeks.